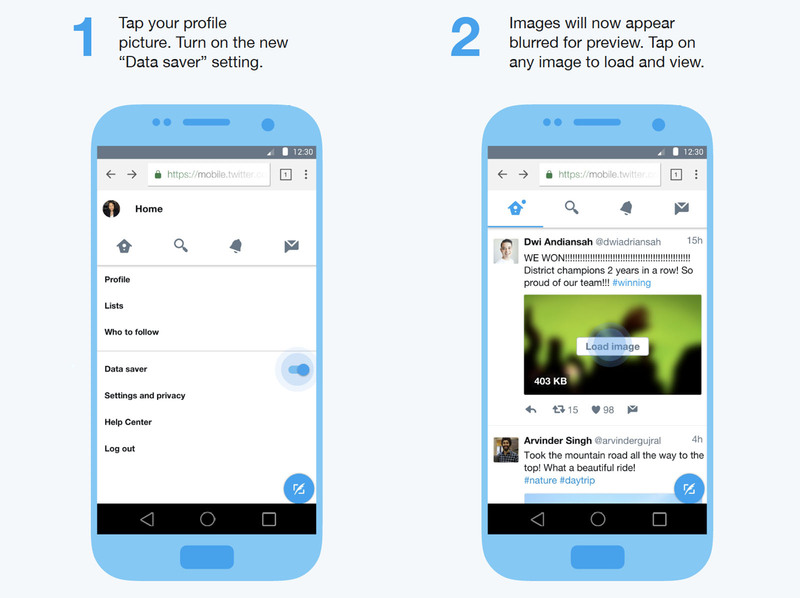 Twitter is following in the footsteps of Facebook Lite and YouTube Go by launching a faster, smaller, data-saving version of its mobile website called Twitter Lite. It's aimed largely at users outside the US, UK and other nations that have fast wireless connectivity, and instead targeting emerging markets where 4G networks are sporadic or nonexistent. The new site is a progressive web app (PWA) that's more like a mobile website than a mobile app. As such, it takes up minimal space on your device (just 1MB) and has quicker launch and navigation speeds -- ideal for slower smartphones. "While smartphone adoption grew to 3.8 billion connections by the end of 2016, 45 percent of mobile connections are still on slower 2G networks," the company wrote in the announce blog. Twitter figures that on average, users will use around 40 percent less data with the Lite app. With an additional data saver mode turned on, that will be reduced by a further 70 percent, "making it more affordable for you to use Twitter in areas where the mobile data is expensive," the company writes. Twitter Lite is a faster, data friendly way for people to use Twitter to see what's happening in the world. The app has additional PWA features if you run it on Google Chrome on Android devices. Users will get push notifications and you can add it to your home screen shortcut and app drawer like a regular app. Twitter Lite will also work offline, so you'll be able to keep using it if your data connection fails (you won't see new tweets, though, of course). The company is touting it as a solution in developing nations in Asia, Latin America and Africa, especially for new users. It's partnered with Vodafone in India, which is promoting Twitter Lite as a way to get live cricket updates -- in fact, the launch is timed with the the major Indian Premiere League Twenty20 cricket tournament. "We didn't feel like we were reaching these other countries well enough, and this will allow us to do it faster, cheaper and with a better experience than we've had before," Twitter Product VP Keith Coleman told Reuters. Unlike rival Facebook, the 140-character social network has famously had trouble gaining new users. Twitter is a more news-centric app than YouTube and Facebook, though, so the new data-friendly app could help folks in emerging markets learn of breaking news and stay informed. That said, Twitter still has to find a way to make its app more compelling -- and safer -- for the average user. You can try Twitter Lite, which is now the mobile web app by default around the world, at mobile.twitter.com.